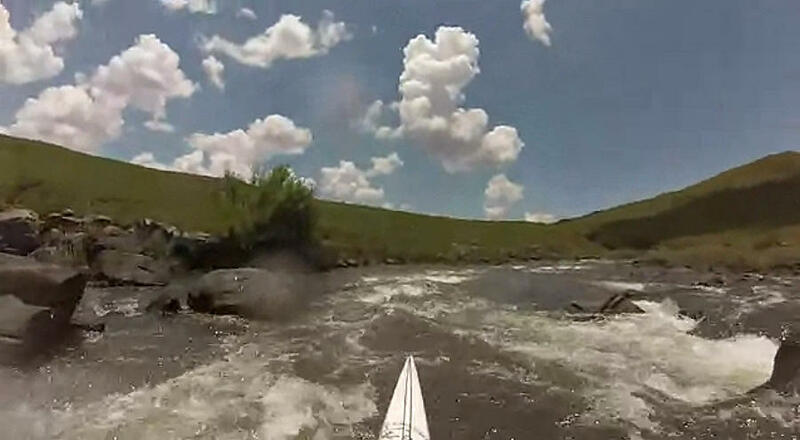 Once into the flats after The Underberg Gorge, few people expect a big rapid before the Lower Gorge, which is why so many paddlers swim here! It requires an S-Bend line down the right to avoid the trouble. In a full river the line down the left drops into a huge hole that wont be forgotten in a hurry!